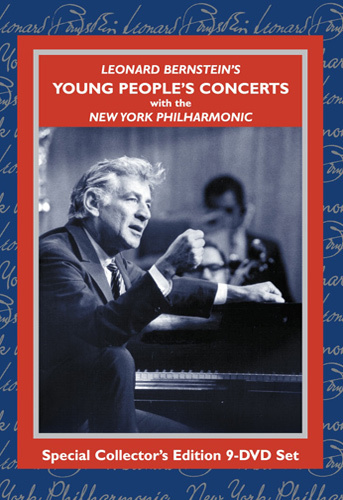 From 1958 through 1973, Leonard Bernstein and the New York Philharmonic thrilled audiences with wonderful concert experiences presented in a sparkling music-with-commentary format: The Young People's Concerts. 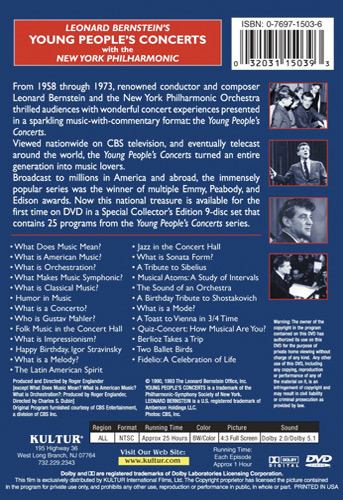 Viewed nationwide on CBS television, and eventually telecast around the world, The Young People's Concerts turned an entire generation into music lovers. This is a 9 DVD set! "If you enjoy music and you're interested in learning more about it, then Leonard Bernstein's Young People's Concerts is meant for you. This outstanding DVD set easily gets a Highly recommended."